Since 1982, ADS has provided the highest quality educational resources to parent’s across Canada. ADS not only carries complete curriculums but also supplementary materials for all subjects and grades. Whether you are just beginning or have been teaching for years, we at ADS would be privileged to be part of that journey. Please visit our website. 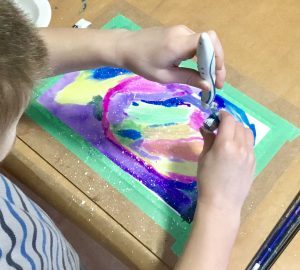 Art Classes and Tutorials by Grade and for Beginners of all Ages: Art With Janine was developed by a homeschool mom with over 14 years experience engaging students through Art. For 9 years of the 14 Janine was an Artist In Residence for the YRDSB, designing programs to help re-engage students with learning, because some students had simply disconnected. With her love for creativity and desire to help kids love learning Janine designed innovative art programs to channel academic subjects through. Currently Janine is building a stock of basic Visual are skills videos by grade, and will be adding a playlist for academic engagement through art. Currently any of the step by step classes on her channel can be used as cross-curricular support for some subject areas, such as the Vibrant Winter Sky Painting, supporting learning about seasons, writing stories about winter, or learning about the direction and use of lines. Blue Mantle Educational Supplies is a family business promoting and supporting a homeschool lifestyle, as well as a Catholic way of life. We support a ‘Culture of Life’ with books, resources, and curriculum for home educating families along with Catholic books, DVDs, CDs, and religious articles to support all Catholic families. Visit Blue Mantle Educational Supplies or telephone 1-877-858-6833. Curricket is a proudly all-Canadian educational publisher producing learning resources and materials that dramatically shorten lesson preparation time, free up valuable learning time for the child, conform to curriculum standards, and come with a 100%, hassle-free, satisfaction guarantee. Many Curricket titles link directly to fun and engaging video tutorials on Curricket.tv via any computer web browser, tablet, or mobile device; engaging the student in a meaningful way and satisfying the technology portion of the curriculum. Curricket curriculum-based materials develop proud, confident, and successful students! Visit curricket.com to learn more. HomeGrown sells a variety of new and used educational products, homeschool curriculum, children/teen novels, games, puzzles, toys, classroom posters, science kits, reference books and much more!! HomeGrown also has a large selection of Christian/Bible books. Located in Berwick, Nova Scotia in the beautiful Annapolis Valley. Math-U-See’s goal is to help produce confident problem solvers who enjoy the study of math and can apply what they have learned in everyday situations. Math-U-See is a complete award winning K-12 math program which teaches math concretely taking away the “TEARS” making math fun! We specialize in offering Canadian curriculum and wholesome literature. We also offer a selection of Bible-based resources and a few other things. Our twist on learning is a “Peppermint Stick” style, which is very flexible and fun to use! In addition to physical products, we also now offer downloadable printable pdf curriculum. Be refreshed with our “Encouragemints” blogs. From our family to yours, welcome to our website and online shop where you’ll find “lessons that stick with a refreshing touch of sweetness”! Why have we relegated the arts to our childrens’ craft tables? A little bit of glue and some scissors do not make for true artistic inspiration. There is an intuitive need to ROAM in our children, and Artsy Startsy believes emphatically that caregivers need to provide children with the opportunity for children to just enjoy being children! 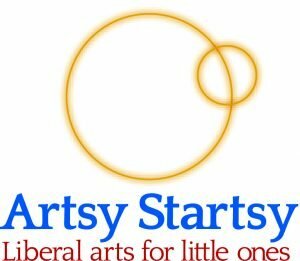 Artsy Startsy is a unique preschool curriculum that encourages children to ROAM if they want to! ROAM stands for Readers, Outdoor Explorers, Artists and Musicians. Excellent Resources is the Canadian distributor for written and video programs of the Institute for Excellence in Writing, the top-rated Writing Program in the Homeschool marketplace. While providing the resources of IEW, Excellent Resources has expanded its offerings with Canadian content writing lessons and Vid-E books only available in Canada. Students from grade 3 to university levels have benefited from the vast amount of materials available. Click here. 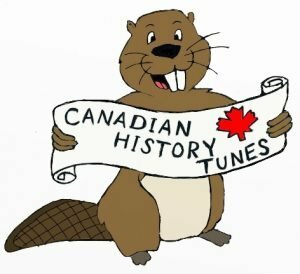 Designed by a certified teacher and professional performer turned homeschool mom, this educational resource includes 25 original songs to help students learn about some of the most important events and people in Canadian History. Included on the CD is a bonus tune “Learning The Canadian Prime Ministers By Song©” designed to help students memorize the names of Canada’s leaders beginning with Sir John A. Macdonald to our current Prime Minister, Mr. Stephen Harper. Based on the principles of “The Well-Trained Mind”, by Susan Wise-Bauer, this CD will have your kids learning a whole Canadian History timeline in just 25 weeks! It’s fun to learn Canadian History! LMP Teaching Connections is a family-owned, online bookstore offering resources to homeschoolers and teachers, based in Saskatchewan. Rod and Jo Amberson have been homeschooling their ten children from the start and have graduated three of them. They are committed to encouraging and supporting homeschoolers in this very important, sometimes difficult and always rewarding calling. LMPTC offers curriculum, novels, stories, games, hands-on activities, science kits, Christian clothing and so much more! Check out the website at www.LMPTC.ca! At Tree of Life School and Book Service we have been meeting the educational needs of home schooling families since 1994. Our staff carefully plans and monitors courses of study individualized to your family situation as well as providing quality products to support your home education needs. Our new literature-based studies, “What’s the Big Idea?” and “The Study of the Great Ideas Through Great Books”, have become increasingly popular! For more information these and other course options, visit our website. Webster’s Academy offers live, online, face-to-face interaction with highly trained and qualified teachers who teach the Blended Structure and Style method of learning the skill and art of writing. Short 5 and 6-week courses span from introductory creative and report writing to advanced essay and exam preparation. Students are welcome from grades four to university levels and can attend live classes or recorded sessions at their convenience. Course schedules and descriptions are online at Webster’s Academy.